Your content is the way to help people find you online, when they don't know about your business yet. It's important you re-use your old content to help new people read it. Plus help those past readers remember you again. These 6 ways I share below will help you do just that. They are simply to achieve and will be quick to implement. But will help your old blog post get a new least of life. 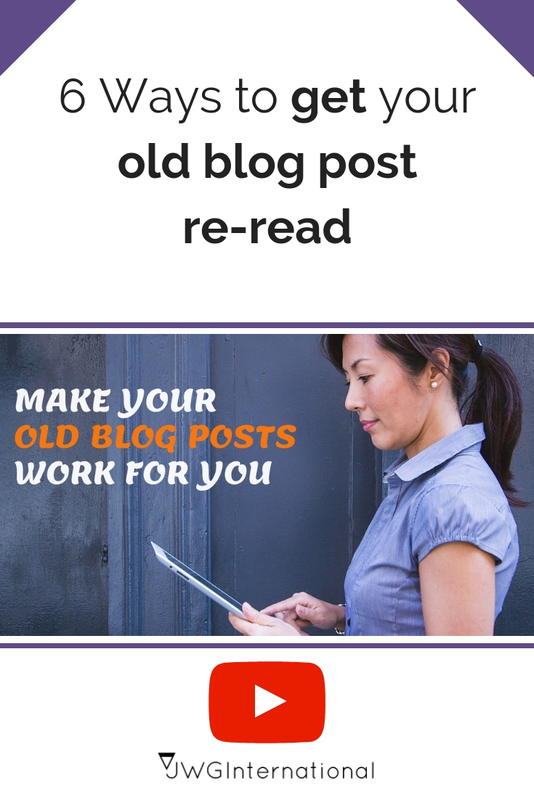 Yes 6 ways to help your old blog post to get reread. Which ones are you already doing? Which ones will you start taking action on, let us know below.